New Delhi: A musical evening was organized at Triveni Kala Sangam at Mandi House to present and release the music album of upcoming singer J Khanna. “Music is life, music enhance the spirituality within you. It is technique to heal body, mind and soul. 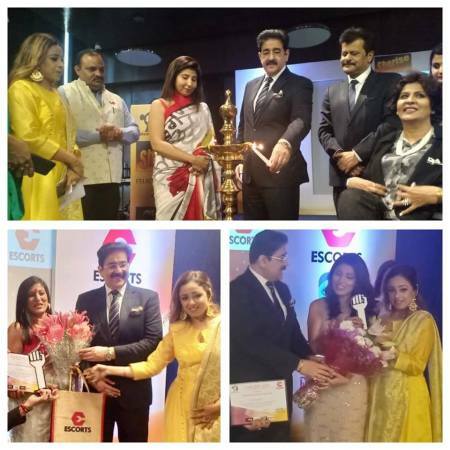 Our culture has been strong enough because we have music for all occasions – right from birth to death,” said Dr. Sandeep Marwah while releasing the album of J Khanna along with other dignities on the stage. “I am happy that I could start a school of performing arts and now in touch with all sorts of music as a daily routine. Even earlier in a film school we have emphasized a lot on music. Films are nothing without music be a song or back round music,” added Marwah appreciating the songs and compositions in the music album.